In the past, one of the contributing factors to device thickness was due to the screen technology used in handsets. Of course, both the internal hardware and form factor also play a role, but the screen really is one of the driving elements behind size. Not that other manufacturers haven’t been working on producing smaller display panels, but LG has just unveiled the “world’s slimmest” HD panel display for use in smartphones. 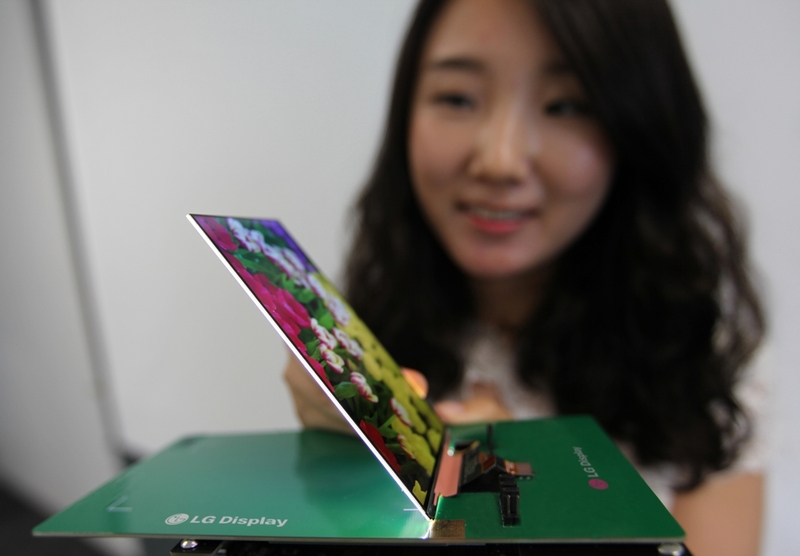 LG Display has designed a 5.2-inch full HD panel that has a total thickness of just 2.2 mm. Just in case you’re not familiar with sizes when it comes to display thickness, that’s crazy thin! Of course, even while showing off the display there was no mention about whether or not this technology will soon be making its way into modern smartphones. Nor, was there any mention about when such a thing might happen. Considering manufacturers are starting to really push the envelope when it comes to device thickness, like Huawei’s Ascend P6, it shouldn’t be much longer until we see a commercial launch for technology like this. The panel supports a 1920 x 1080 pixel resolution, in addition to proprietary LG touch technology called Advanced One-Glass-Solution. The new tech is comprised of two flexible circuits which have been strategically placed between glass and touch sensitive layers. The tech has allowed LG Display to keep the panel thin, yet still feature rich. The unique bonding technology used to connect the display components has allowed the panel to have a high brightness rating, which means it should be visible at all times even outdoors. More specifically, it includes a 535-nit rating with a combined contrast ratio of 3:74:1 (10,000 lux). If you’re a little more interested in the technology itself that has gone into the panel, check out the source link below for more information. Where this new panel technology goes from here is anyone’s guess. We might see some new handsets from LG by the end of the year or the beginning of 2014 which use this new type of panel. Taking the crown for the “world’s slimmest full HD LCD panel for smartphones,” is a pretty big deal.